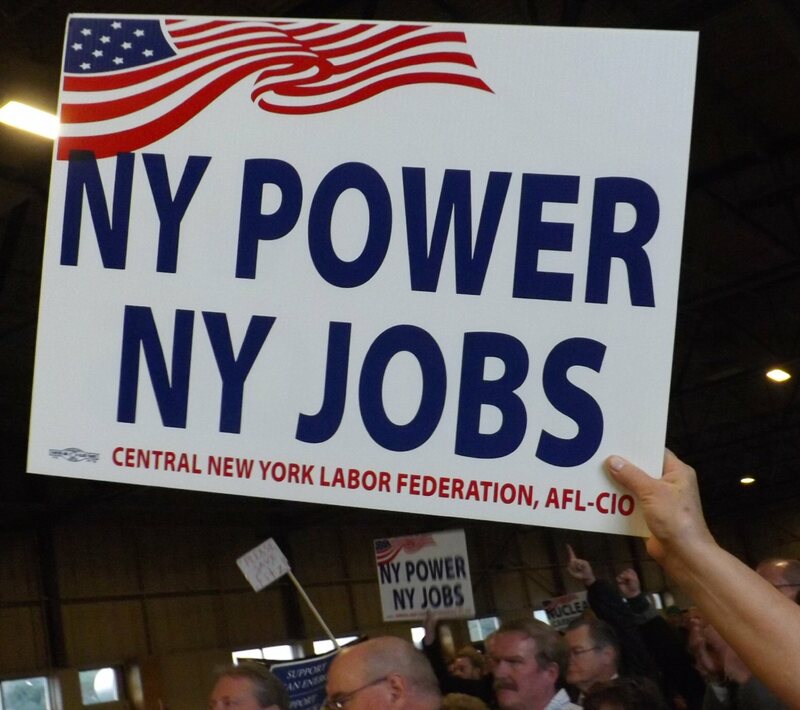 OSWEGO, NY – Oswego County received the difficult news this morning (Nov. 2) that Entergy plans to close the James A. FitzPatrick nuclear plant near the end of 2016. Our first thoughts today are with the employees, families and businesses that will be impacted, Legislature Chairman Kevin Gardner and Oswego County Administrator Philip Church said in a joint statement to the media this afternoon. The plant closure and decommissioning process will take well over a year. Although jobs may not be impacted until late 2016, Oswego County is initiating steps to begin developing coordinated re-employment and re-training services with the Department of Labor, Workforce Development Board and the Division of Employment and Training. Oswego County residents who are affected by the plant closure will not be left out in the cold, the county officials said. The nuclear industry has been a vital part of Oswego County’s economy and community for decades, Gardner and Church noted. “While we’ve been blessed by nuclear power’s economic impact and the revenues to our community, we also recognize that relying on a single industry is not a sound or viable strategy for our county’s economic health. This is why Oswego County has embarked on new initiatives such as an anti-poverty task force and creating a land bank to improve housing and property values,” they said. “These and other strategies will culminate in a new comprehensive economic development strategy for the county; one in which we can avoid over-reliance on a single company, one that is diversified and maximizes the county’s many geographic, natural and workforce assets. Our goal is not merely to survive a plant closure, but to utilize the resources at our disposal to sustain a thriving community,” they continued. Oswego County, as a government and as a community, has endured hardship in the past, they pointed out.